A small yet growing number of marijuana businesses are adopting or experimenting with a nascent technology born out of the cryptocurrency phenomenon. Solve the payment and banking hurdles facing cannabis businesses. Be used for seed-to-sale tracking – a common requirement in legal marijuana markets in the United States. “Blockchain technology can be used in the cannabis space the same way it can be used in any industry,” said Kevin Fortin, a cryptography expert and patent attorney with the Hoban Law Group in California. However, some skeptics in the cannabis industry say blockchain promises more than it can deliver – and what it delivers isn’t different than what’s being offered by other technologies. Blockchain has “applications for cannabis, and it’s a very interesting technology, but it has drawbacks and limitations,” said Jessica Billingsley, co-founder and president of Colorado-based MJ Freeway. Blockchain is essentially a decentralized digital ledger of transactions. Each transaction, or “block,” is added to the ledger linearly, forming a chain of blocks. A block must be verified by other members of the blockchain before it’s added. Every transaction can be traced. The blockchain digital ledger cannot be changed. The data is decentralized, so it’s much harder to hack. While this might strike some as too good to be true, a few marijuana and mainstream businesses have already embraced blockchain technology. Late last year, responding to British Columbia’s solicitation for legislation recommendations, computer giant IBM recommended that the Canadian province use blockchain technology as a seed-to-sale tracking system. Emerald Health Therapeutics, a federally licensed producer in Victoria, British Columbia, and DMG Blockchain Solutions in Vancouver, British Columbia, formed a partnership called CannaChain Technologies. MassRoots, a Colorado-based, cannabis-focused technology company, created a blockchain subsidiary, MassRoots Blockchain Technologies. Nevada-based Nuvus Blockchain is working on a comprehensive blockchain platform for the marijuana industry but is trying to raise $100 million to finance the effort. Outside the cannabis sector, a group that included Citi, Goldman Sachs and J.P. Morgan participated in a $20 million Series A funding round for Axoni, a company developing blockchain solutions for financial institutions. The National Association of Cannabis Businesses (NACB), an advocacy and standards group, has hired a company to develop software that is expected to include blockchain technology designed to give its membership – currently 25 members – seed-to-sale and transaction tracking capabilities, among other canna-centric applications. Blockchain’s biggest value, said NACB CEO Joshua Laterman, is that it gives marijuana businesses reliable evidence of their financial history. Marijuana businesses expect scrutiny of their books, and the biggest concern for many marijuana businesses is being accused of fudging their books, Laterman said. “There is no stronger rebuttal to that than blockchain, because you’re presenting an immutable record that can’t be changed,” he said. Seed-to-sale tracking is another ideal use for blockchain, some advocates say. While blockchain records everything that current tracking systems do, they point out that it’s harder to manipulate growing records. “I doubt that anything is truly unhackable,” said Julie Hamill, an attorney in the Los Angeles office of the Harris Bricken law firm. Hamill added that the system not only offers better protections than typical tracking systems, it’s more efficient. She pointed to an IBM study that tracked mangoes shipped to Walmart stores. With traditional seed-to-sale tracking – which mainstream businesses use to trace produce in case of an outbreak of E. coli or other illness, for example – it took six days to trace a mango’s origin. With blockchain, it took only two seconds. While many cannabis business observers are leery of cryptocurrency, Hoban’s Fortin is a believer. He believes marijuana businesses that have may been rejected for bank loans can crowdsource capital via blockchain technology. “It’s opened the door to supply-chain finance,” Fortin said. “Just like farmers need loans for their equipment and supplies, and pay it back after harvest, this can be accomplished if the seed-to-sale program involves cryptocurrency tokens. Fortin sees cryptocurrency as a viable payment solution for the mostly cash-only cannabis industry. He noted that a small number of dispensaries have installed bitcoin ATMs. He believes cryptocurrency and blockchain will be the preferred payment method after marijuana prohibition is repealed nationally, even if banks can more freely take cannabis accounts. Major data hacks will continue to anger consumers and compel businesses to adopt the blockchain and cryptocurrency systems. The world is heading toward more financial crises, which will undermine liquidity. But businesses that employ cryptocurrency won’t have a problem accessing their crypto-capital. “The companies that have understood the advantages of these crypto tokens and blockchain finance will be the companies that survive the banking changes which are coming by next year, I think,” he added. Others, however, say cryptocurrency is better left out of cannabis. “I personally do not believe cryptocurrencies should play a role in cannabis. Cannabis has to be able to show that it’s always being transparent and able to follow the rules,” NACB’s Laterman said. Blockchain skeptics in the cannabis industry argue that the technology is too new to know whether it can work. According to MJ Freeway’s Billingsley, blockchain doesn’t replace transaction systems, it simply keeps that unchangeable ledger of transactions. Furthermore, blockchain isn’t effective without many business participants. 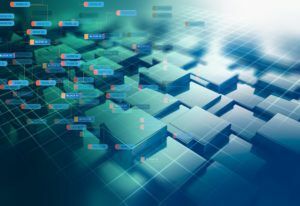 “Blockchain does not work unless there are peers willing to host the chain and that both validate and accept changes on a peer level,” Billingsley said. Too bad for MJ Freeway…If they took the time to actually look into the tech and see where it is. blockchain is the answer for the Cannabis industry. JPM and larger banks around the globe have been working on blockchain for years. Reserve Bank of Australia could be the first. IMB & Nuvus are working on seed to sale blockchain software right now. That’s not always the case. Mr. Laterman should be aware that much of the recent crypto activity points strongly towards crypto going mainstream and outgrowing the off the grid crowd. All coin owners have to do is be willing to identify themselves as they would if they opened a bank account and pay their taxes when their transaction becomes a taxable event, as would any other investor. These days, the only people who need to stay off the grid are the criminals in the mix. Block chain is better in theory than utility. Very few people use it as more than a speculative investment and no single crypto has crossed that bridge to utility, for the simple reason that no prudent business operator trusts the inherent volatile fluctuations in day-to-day or even hour-to-hour value. The cannabis industry may be the only industry with the ability to legitimize one or many crypto currencies. Cannabis doesn’t need Crypto…Crypto needs Cannabis.